UK surveys show that more than one in five children are already overweight (13%) or obese (10%) when they start school. Infancy is a period of rapid growth and weight gain and obesity prevention during this period may be effective. Nutrition and growth during infancy may also have long term effects by altering eating behaviours and risks of obesity and obesity-related disorders in later life. CEDAR and MRC Epidemiology Unit researchers have been working with mothers and healthcare professionals to develop a feeding programme which aims to avoid excess weight gain in formula-milk fed babies. Our research with parents in the Cambridge Baby Growth Study and other studies shows that parents who give their babies formula-milk as part of their everyday diet need more information and support. The programme we have developed aims to support parents who formula-milk feed their baby in order to achieve a healthy pattern of growth and weight gain. 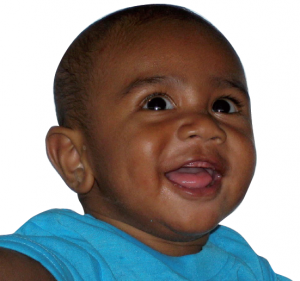 The infant feeding programme has being tested in a randomised controlled trial. One group was given advice and support to follow the new guidelines for formula-milk feeding. The other group was given routine advice about formula-milk feeding and weaning. This comparison is important to test whether our new feeding programme is effective. The babies in the two groups were followed up over the next twelve months.